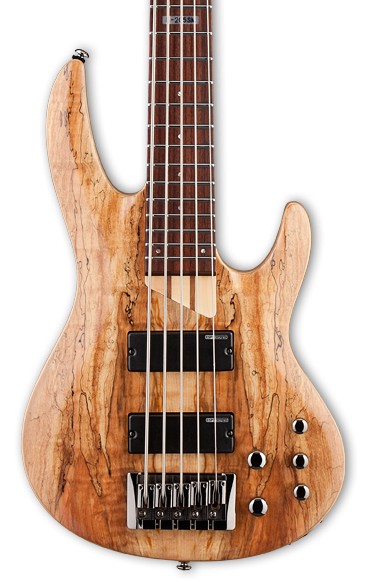 With its unique coloration and grain pattern highlights, spalted maple is a great look for a bass that stands out from the crowd. The B-205SM is an affordable yet high quality 5-string bass that offers an ash body with a spalted maple top in Natural Satin finish, along with an extra thin U-shaped 5-piece maple/jatoba neck for excellent playing feel. You also get passive ESP Designed SB-5 pickups, along with an active ABQ-3 3-band EQ, and good-looking black nickel hardware.